Moose Hollow Condominiums are located just South of Wolf Creek Utah Resort and next to the Front Nine of the Wolf Creek Golf Course. 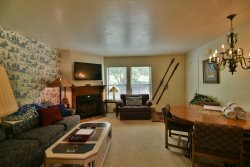 The Condos have varying views of the lake, Snowbasin, golf course, Wolf Mountain and the surrounding mountains. The new condos include solid alder doors, rustic finishes, stone fireplaces, solid granite counter-tops and slate floors in kitchen and baths. Wolf Lodge Condos are in Wolf Creek Resort and on Powder Mountain road. The condos are just 5 minutes to Pineview lake. Enjoy the serenity of the mountains, close to skiing, water sports, hiking and biking. Wolf Lodge are 1 to 3 BR older units but are a great value for a vacation rental. Our Private Vacation Homes in Eden, Huntsville & Mountain Green Utah offer more space, privacy and comfort than hotels Private homes are a great value- spend less get more! Many of our vacation homes offer superior amenities to hotels, hot tubs, internet and more. Nestled between Utahs famous Snowbasin, Powder Mountain, Wolf Mountain Utah Resorts and Pineview Lake, Ogden Valley has been a locals secret for years but is quickly becoming one of Utahs Hot Destinations. Ogden Valley surmounts the Cottonwood Canyons, Park City & Deer Valley Ski Amenities by surrounding itself with some of the most epic uncrowded resorts in the world! Its no wonder people are starting to find us. The Cascades Town-Homes are located in the heart of Wolf Creek Resort. Three floor-plans that range from 2800-3600 SF and 4-6 bedrooms. Finishes include travertine tile, granite counter tops, concrete mantles, straw finish fireplaces & radiant heat in lower level. The Cascades clubhouse has a workout facility, meeting space and a large deck. Situated on the second fairway of Wolf Creek Golf Course.